Starting on January 26, 2015, the U.S. Postal Service is changing its requirements for mailing parcels, packages, and priority mail pieces of any shape, size, or price category, including library and media mail packages. To receive a reduced postage rate and free insurance, all pieces of mail will require an Intelligent Mail package barcode (IMpb) which you can apply to obtain. This new process will impact your interlibrary loan mailing processes and could impact your budget. The State Library is in the process of applying for an IMpb compliant barcode, and we will keep you all informed as we learn more about the next steps. 1/13/2015 UPDATE: If your library already has an EMS system to process your mail, you are set up to print labels with the address and barcode. Per our sales rep for our machine here at the State Library, the changes will not affect media or third class mail, or first class letters. We recommend talking with your postmaster to ensure you understand the changes and how you can continue to receive reduced postage rates for your library and media mail. 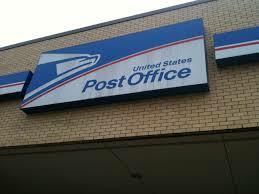 Please click here for the IMpb Frequently Asked Questions sheet from the USPS.